"Health Canada recognizes the concerns of the Canadian Medical Association regarding the level of evidence on the risks and benefits of cannabis for medical purposes, as well as on dosage and potential interactions with other medications," read a statement issued this week by Health Canada. "Measures under the Cannabis Act aim to facilitate research with the goal of improving our knowledge of the risks and benefits of cannabis." The statement adds that legalization — which comes into effect Oct. 17 — will "provide for a new research licence and permit research activities under cultivation and processing licences." "The aim of these provisions is to facilitate research and development by streamlining the process and requirements for cannabis-based research," read the statement. "This additional flexibility will support pre-clinical and clinical research on the use of cannabis and cannabinoids for medical purposes. Such research could lead to new drug submissions of cannabis-based products for market authorization as drugs." Health Canada will also work to evaluate the drug review and approval process for health products containing cannabis "so Canadians in need have better access to an array of medicinal options.‎"
"We will continue to urge the government to invest resources and funding in independent research to assess the impact of cannabis in health and health care," it read. "As more scientific evidence becomes available, we will work with Health Canada and other governmental agencies as well as stakeholders in the medical profession to better understand how this might fit into current medical practice. In the meantime, physicians will continue to work with their patients directly to provide the best care possible." 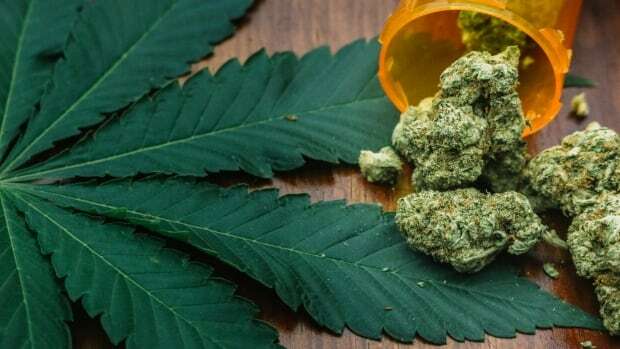 A review of the medical marijuana system will be done by Health Canada within five years after legalization, "to determine whether the system is meeting its objectives," according to a framework for legalization issued by the federal government in 2016. "It is simply a reality now that cannabis is part of the medical landscape," James MacKillop, director of the Peter Boris Centre for Addictions Research, told CBC News in an interview last month. "I think we need to address that reality head-on as opposed to sort of walking away from the reality at this point," said MacKillop, who is also the co-director of the Michael G. DeGroote Centre for Medicinal Cannabis Research at McMaster University in Hamilton.